Geekvape sent me a sample of their AEGIS Legend Kit. 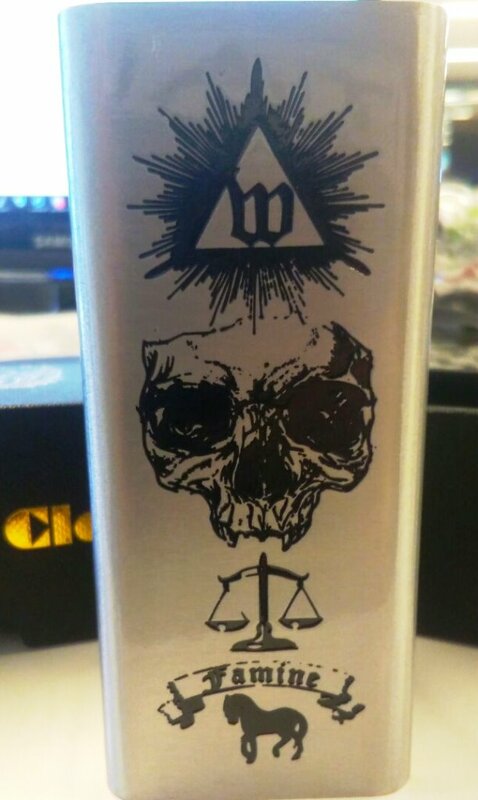 which comes with a brand new tank and also a 200W Box Mod. The Aegis legend is a stylish box mod designed to be water and shock resistant, the beast is now back and compatible with dual 18650 batteries powered by the new AS chipset that releases up to 200W output. This is a second to none choice for those who are looking for a durable box mod with extreme power and portability. UK ECIG STORE is the UK’s number 1 electronic cigarette retailer. We are an established London based business. We pride ourselves on sourcing, designing and combining the best quality products on the market; backed up by excellent customer service and professionalism. We source the finest e-liquid flavours from around the world as well as producing our own range of high quality flavours. We deliver all around the world, and respected technology website Gizmodo voted our kit the best on the market. We have a retail store that you can visit and test over 200 unique e-liquid flavours before you buy.